Effective distance from the centre of the nucleus of the ion up-to which it has an influence in the bond. When you move down the group in periodic table ionic radius increases because new shell is added. When you move from left to right across the period, there is no regular trend observed because each element in period can either lose or gain electron. 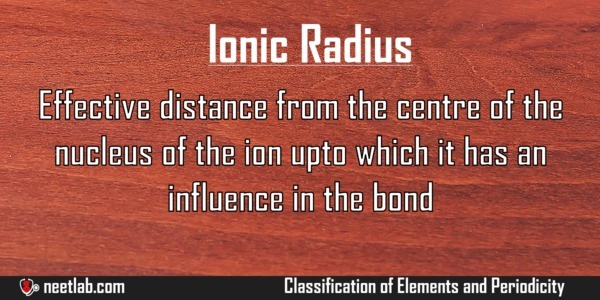 Across period, the ionic radius decreases for metals because it loses an electron and becomes Cation. 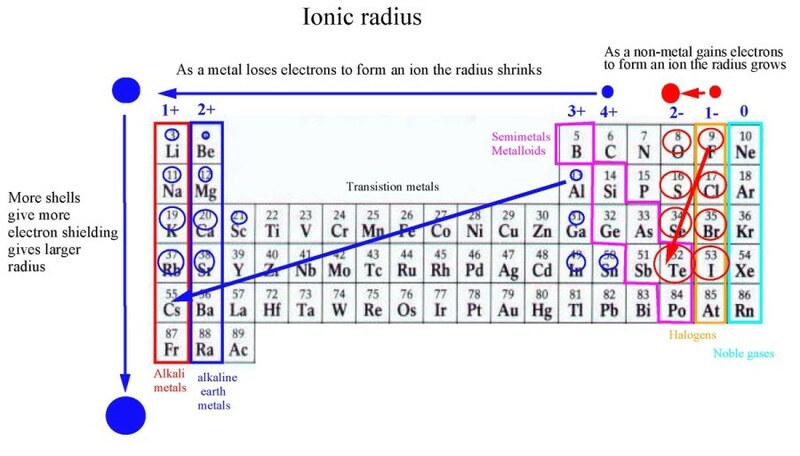 For non metals, ionic radius increases because it forms anions. This is because the number of electrons exceeds the number of protons when an electron is added in case of Anion. The ionic radius will be smaller than the atomic radius, depending on the electric charge of the ion. 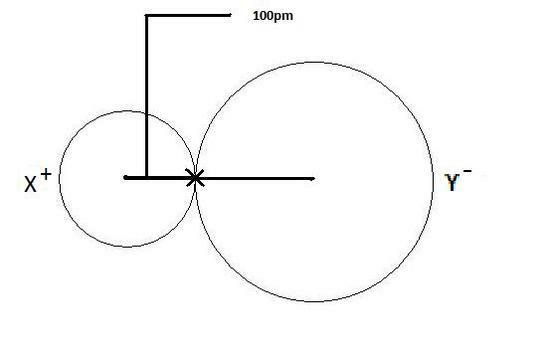 The Ionic radius and the atomic radius are same for neutral atom. 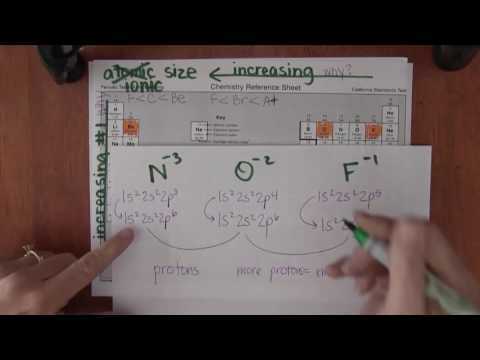 Cations have smaller ionic radius than their neutral atoms. Anions have bigger ionic radius than their neutral atoms. After comparing many compounds, Linus Pauling assigned a radius of 140 pm to O2- . This is used as the reference to determine ionic radii of other compounds.